Intimidated by technology? 50-Plus can help! According to the Pew Research Center, older adults face unique barriers to using and adopting new technology. Some 34% of older internet users say they have little to no confidence in their ability to use electronic devices to perform online tasks, while 48% of seniors say they need help setting up and using them. The good news is that most seniors are able to learn to use new technologies as long as some specific barriers and challenges can be overcome. Physical challenges. Many seniors have physical conditions or health issues such as poor eyesight that make it difficult to use new technologies. Larger keyboards and other adaptations can help. Skeptical attitudes. Many older adults don’t shop online or use electronic maps because they either think they’re too old to learn or don’t think these technologies will make their daily lives easier. Education can help change these attitudes. Difficulties learning to use new technologies. 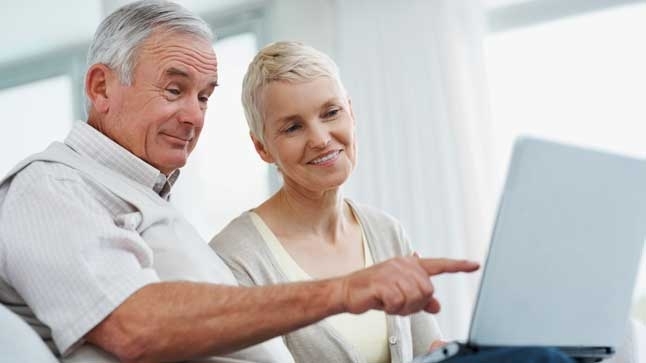 A majority of older adults say they need assistance when it comes to learning new technology. Most new users are not comfortable teaching themselves and prefer that someone provide step-by-step instruction. To help members master new technology skills, UCLA Health 50-Plus is now offering free, one-on-one coaching sessions by UCLA undergraduate students. All you need to do is bring your fully charged smartphone, tablet, laptop or e-reader to your appointment.